The team at our law office routinely obtains case dismissals, reduced charges and other favorable outcomes on behalf of our clients. This, combined with our exceptional customer service, is the reason we hold honors such as having earned the highest peer rating possible of AV Preeminent* from Martindale-Hubbell; being named for inclusion in Super Lawyers list; and receiving an Avvo "Superb" rating. Local and national media outlets often turn to our attorneys for their opinion on and insight into current events. 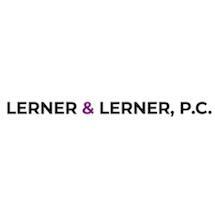 Lerner & Lerner, P.C., also handles disability and workers' compensation cases, helping people secure the benefits to which they are entitled. At our law office, we take every measure possible to make the legal process as easy as possible on those we serve. To accommodate our clients, we accept credit cards and offer free initial consultations. We assist people accused of crimes, or under investigation, in Nassau and Suffolk Counties and throughout the state of New York. We have represented defendants in all types of criminal cases, from petty misdemeanors to serious felonies. We represent people facing the misdemeanor and felony charges of DWI, A-DWI, Driving While and DWAI. Our law firm represents people facing all types of traffic violations (car- or motorcycle-related) from incidents arising in Nassau, Suffolk, and all other New York counties. For four decades, Mr. Lerner has helped public employees, such as police officers, court officers, and corrections officers file claims for New York State Retirement Disability.